Just 80 m from the Lagoon access and 10 minutes' walk from the beach, La maison du voyage offers a relaxed tropical haven with free kayaks, bicycles and snorkelling equipment. Guests enjoy free WiFi. Airport transfers are available at an additional charge. 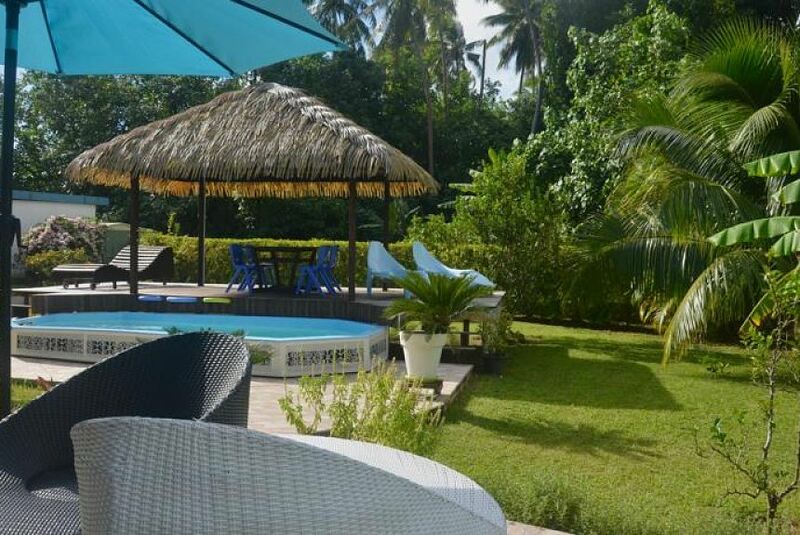 La maison du voyage is just 2 minutes’ drive from Tevaitoa Village and 10 minutes’ drive from Raiatea Airport. Temaruao public Beach is just 5 minutes' walk and the closest restaurant is 3 minutes’ drive away. This spacious holiday home offers a fully equipped kitchen with an oven and a coffee machine. It features BBQ facilities and a terrace. There is a flat-screen TV and a private bathroom. It offers mountain views. This property is also rated for the best value in Tevaitoa! Guests are getting more for their money when compared to other properties in this city.